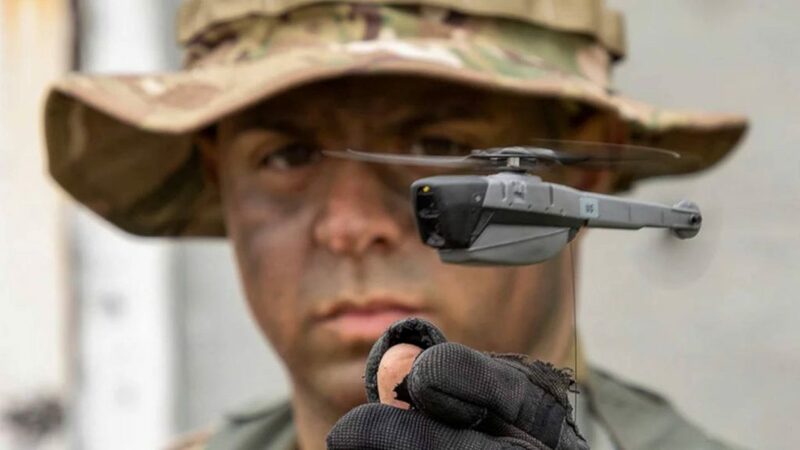 On Jan. 9, 2019, the Army revealed that the Soldier Sensors and Lasers (SSL) division of Rock Island Arsenal’s Joint Manufacturing and Technology Center (RIA-JMTC) had delivered the first 60 complete Black Hornet systems to unspecified units. Then, on Jan. 24, 2019, FLIR Systems announced it had received a contract worth up to $39.6 million to deliver thousands more of the drones to the service, along with associated equipment, in the coming years. The palm sized Prox Dynamics’ PD-100 Black Hornet only weighs in at 16 grams. 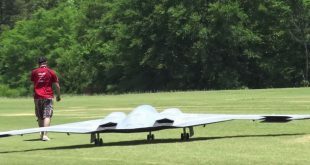 With a flight time of nearly a half an hour, it can venture out both vertically and horizontally, into villages and buildings, to provide real time intelligence via streaming video from any of its three cameras. Because of its quiet electronic motors and small size, the little spy drone is almost completely undetectable. A closer look at the Black Hornet and its features. 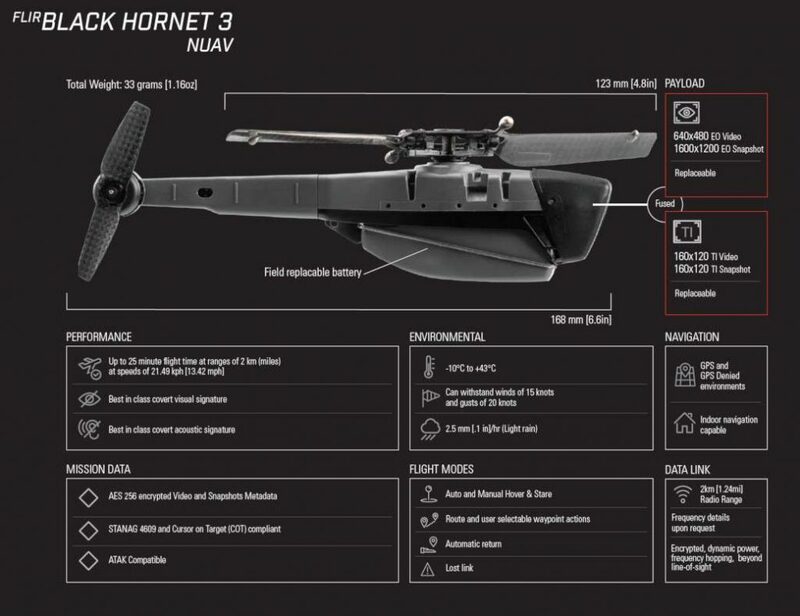 The latest Black Hornet 3, which FLIR Systems also calls the Personal Reconnaissance System (PRS), weighs less than a tenth of a pound and is just under seven inches long. The complete system comes with a docking station for two drones that keeps them protected when not in use, as well as a hand-held touchscreen device and a controller. During nighttime operations, the drone fuses the feeds from both its electro-optical the thermal imaging system to create higher fidelity imagery. This makes it easier for the operator to positively identify individuals as hostile, rather than just innocent bystanders, or otherwise examine other objects of interest in the dark. Pocket-sized drones are set to be introduced to the battlefield as a way of spying on enemy forces.